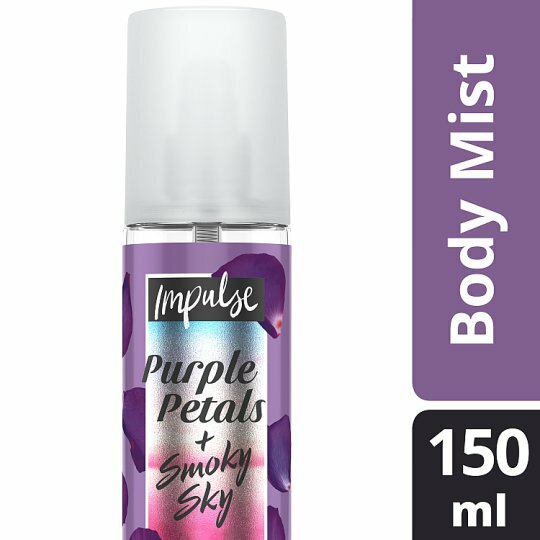 Discover Impulse Body Mist, Purple Petals + Smoky Sky. Dive into this fragrance combination of jasmine and white gardenia blended with a hint of fresh nectarine. Purple sunset and a smoky haze hang over the city. Everything is on fire. Sweet flower petals fill the air. You are overlooking the city. On top of the skyscrapers. The smoky purple haze runs deep through your hair. You can smell the crisp nectarine rising in a rich floral heart. It’s now time to dive into the freshness of the woods. It's a jump. A jump not everybody would dare to take. But you don't care. You fear nothing. You take one step forward. The fragrances burst and you find yourself embarked in a swirl of sandalwood and uplifting mandarin. Your feet are now touching the ground. You’re ready now. So go out there and be you. Go out there and trust your Impulse with our Body Mist range of fragrances. Everything you need to be the best version of you. The best woman you can be. The best. Full stop. Pop the top, spray where you want, when you want. 150ml handy-sized bottle to put in your bag, on top of your cupboard , anywhere really.